A little over a year ago, I picked up a Barnes Precision Machine BPM-15 Patrolman’s Carbine. I was not only impressed, I was blown away by the build & part quality, accuracy, and innovations Barnes delivered in a rather innocuous looking standard priced AR15 around $1300. That rifle did not last more than six months. As the story goes, Mrs. Pandemic was shopping for her first AR15 (in my safe) and asked what was the best and most dependable AR15 “we” owned. Naturally I picked up the BPM-15 and explained why... and then she grabbed it out of my hands and said "thanks, winked at me and walked away". Never argue with a pretty woman with a gun. She loves the rifle. As a guy who reviewed a massive quantity of AR15s, you can bet that I put the best AR15 available in her hand to defend herself even if that means I have to buy another, so I did. 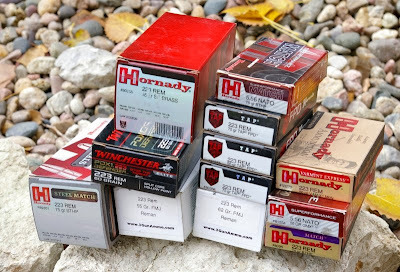 Generally as a reviewer of a continuous stream of AR15 rifles, I have to strain a bit to understand the benefits X brand delivers vs Y brand... because in most cases 99% of AR15 manufacturers all use the same parts from the same OEM manufacturers. In fact Barnes is one of those OEM manufacturers in the list. 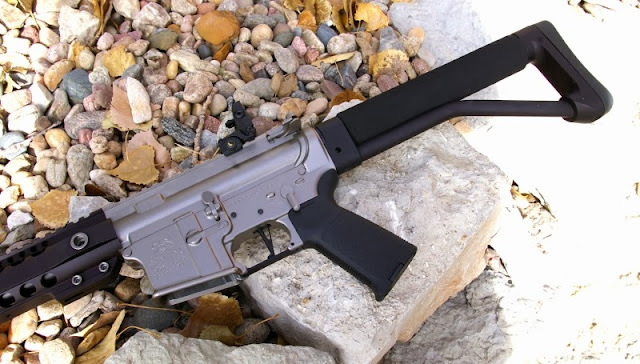 In general, the vast majority of the best AR that guy on the forum has ever owned does not make a single part in house and just buys all the same 100 parts everyone else uses… and in some cases from sub-standard sources. Typically there is usually little to differentiate this or that rifle beyond the quality of the parts and the build quality. Parts come in various grades and it makes sense that the AR15 manufacturers who makes nearly every part in house has the ability to assure every part they use comes together in an optimal way. Unless a manufacturer validates the specs of each part coming in the door, they are subject to the quality standards of their suppliers. In many cases good, better, best just comes down to the build quality and unfortunately there is where I see the biggest swing. Unfortunately I have seen crooked loose and missing parts of rifles I have passed on for reviews. Barnes has both the build and part quality perfect, however what sets them apart is the 100% in house production (excluding springs, trigger, and furniture) and real honest and true AR15 functional innovation improvements which do make their BPM-15 better versus prettier. 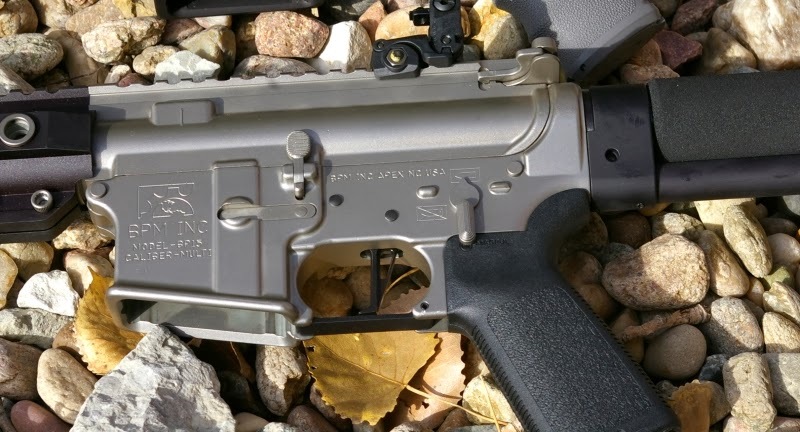 There are only about four manufacturers in the US which are actually making 95% of the AR15 parts in house - LMT, Daniel Defense, Colt, and Barnes Precision however there are a few others starting to pop up here and there. Little things on Barnes make a difference like a captured take-down detent spring that does no go flying out when you remove the buffer tube, a tight receiver to receiver fit that can even be tightened with an internal receiver tension screw, a match grade barrel included even in their least expensive rifle which is a tack driver, softer shooting mid-Length gas systems, the in-house made bolt’s cam pin hole is reamed versus being peened which increases strength, and a barrel nut design which allows perfect torquing of the barrel and delivers a more stable handguard (in my opinion it is the most solid in the industry). 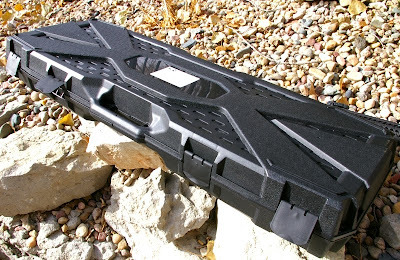 Last year BPM started including their Ultra-light forend instead of their quad-rail version on the base rifles. The forend is compatible with standard Magpul rails for customization. Just a couple months ago they again upgraded their rifle line to include the new Barnes NiBo - Nickel-Boron coated Bolt Carrier Group and very nice Patriot Case with die cut foam inserts for no additional charge - still the base Patrolman Carbine retails for just $1308. You will hear no argument from me that Daniel Defense and Colt are top quality, however neither can match the accuracy or upgrades from Barnes. 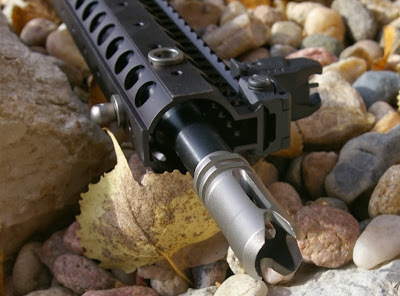 LMT can deliver precision accuracy and quality, however at nearly $1000 more due to the billet receivers. 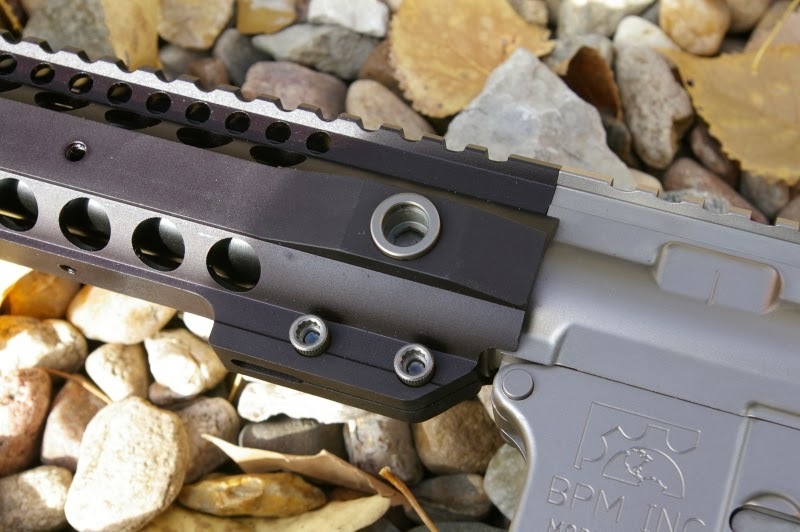 BPM is definitely not another “Me-Too” AR15 manufacturer… actually they are an OEM manufacturer for quite a few manufacturers so they are more of just a “Me” or a “They” or maybe a “Me Too Enabler”... not really should how to phrase that. 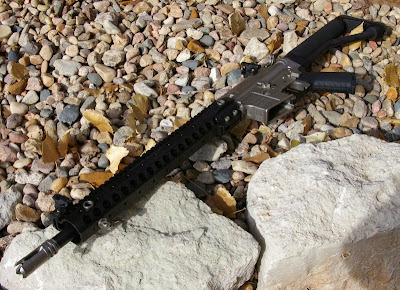 The point is that I personally believe Barnes Precision offers the best quality most accurate AR15s for the money. Are their higher priced guns that may deliver fancier looks or improved accuracy? Yes, but for $1300, I would put the 16" Patrolman Carbine against any other on the 100-yard line for that cash and in fact I said so in my Best Budget AR15 Shootout. I could buy anything rifle, however I went out and bought the same exact rifle I had picked up previously with Barnes Precision Machine's Robar NP3 and Melonited Marine coating only having BPM upgrade to a longer 14" Ultra-light stock, Ace Stock, Barnes Adjustable gas tube, and I added the CMC Flat trigger. Back when I did a factory tour of Barnes, after I had already fallen in love with the Patrolman's Carbine BPM-15. I saw a lots of things there that impressed me, however it was that silver finished NP3 Marine AR which defines the detail Barnes puts into their rifles. 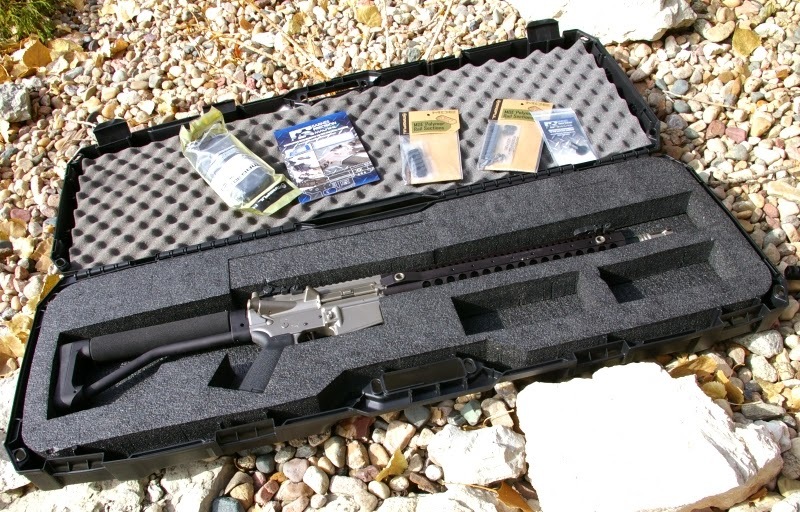 Barnes offers the NP3 and Melonite upgrade package on any rifle they offer for around a $200 upgrade. Even the very custom looking NP3 coated has nothing to do about looks. Want proof? Lets look deeper into what that upgrade gets you. Almost every other manufacturer who offers some fancy diamond hard finish are only at best delivering a upper and lower receiver with a really hard finish. 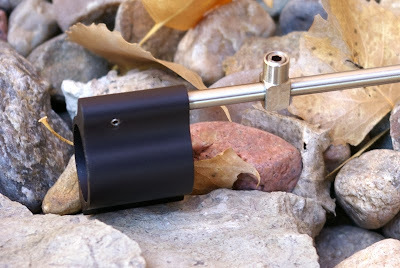 All the other parts are left exposed, untreated with only a phosphate or anodized finish. Barnes NP3 coats everything housed in the receiver plus the flash hider. 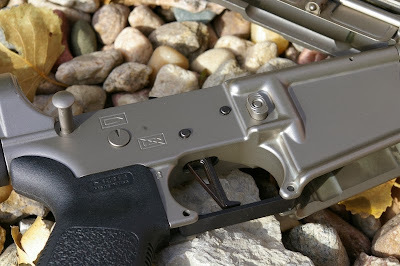 When I say everything in the receiver, I mean all the trigger assembly pins, the trigger, ejection door components, forward assist components, charging handle, the selector, the take-down and pivot-pins, the springs, and even the detents. Up front, the handguard bolts, barrel nut, crush washer, and flash hider are are treated. Yep every part on the receivers. The stainless match barrel, gas block and gas tube are Nitrocarburization treated (AKA Melonited) inside and out which better than chrome because it delivers superior corrosion resistance and does not degrade accuracy like chrome can. 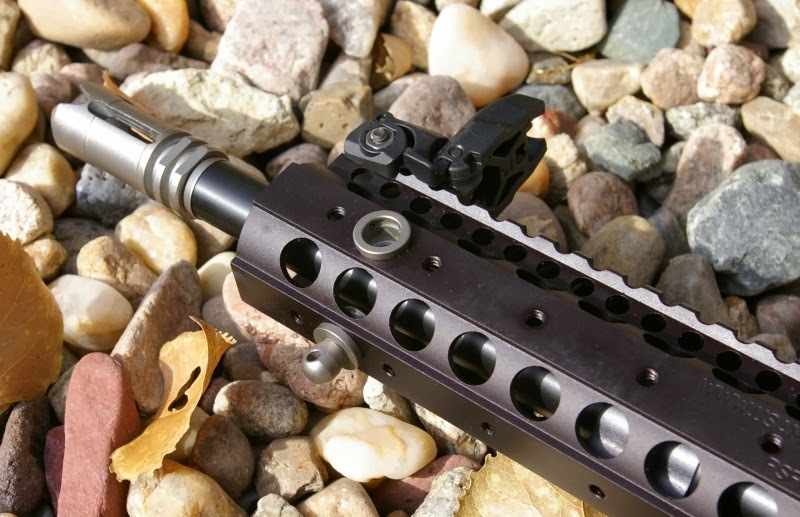 The 100% in house made bolt carrier group is fully Nibo coated. 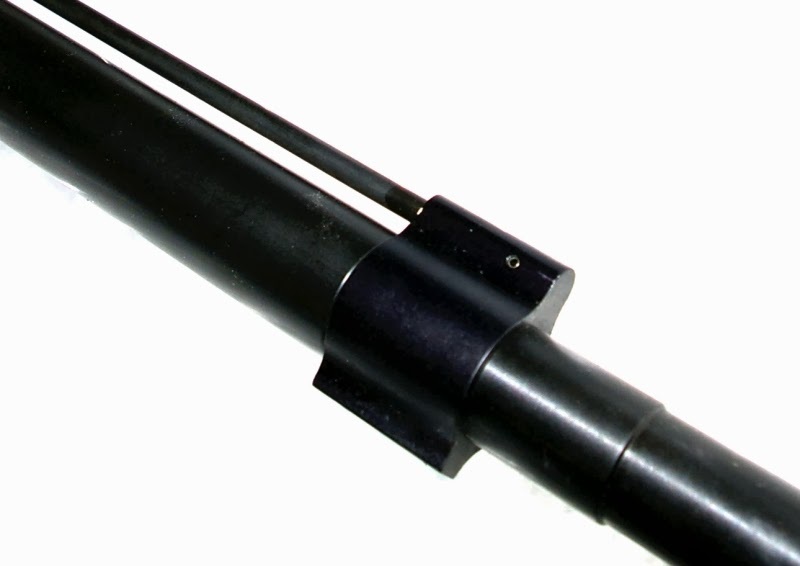 In the end, the coatings deliver a totally corrosion resistant AR with the exception the forend and buffer tube. In addition to the huge corrosion resistance, this is the slickest cycling AR I have ever charged due to the coated receivers and charging handle. All this was done not to deliver the stunning custom AR15 it has become, but the reason was simply to increase corrosion performance around salt water environments - Andrew Barnes was quick to point out "the cool factor is only a side benefit…. its all about performance. I decided that I wanted this rifle to be able to deliver both typical defensive duty for the household and mid-range precision varminting capabilities. 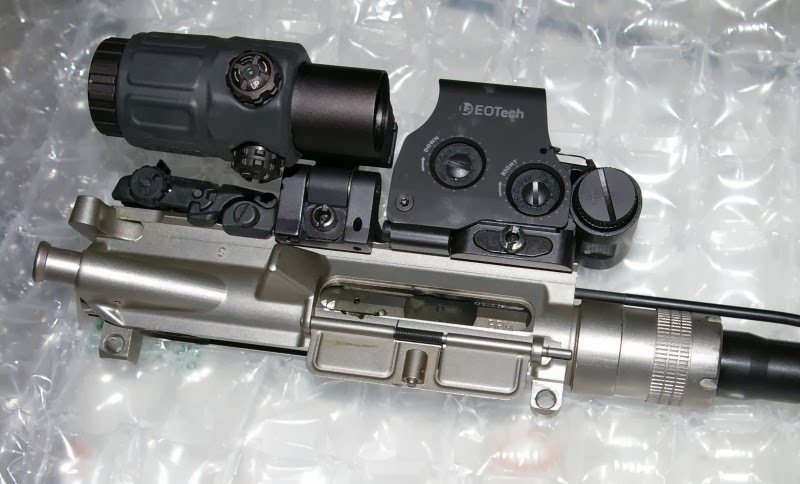 I settled on a quick release version of Eotech's sight and 3X magnifier combo to deliver defensive hits out to 500 yards. 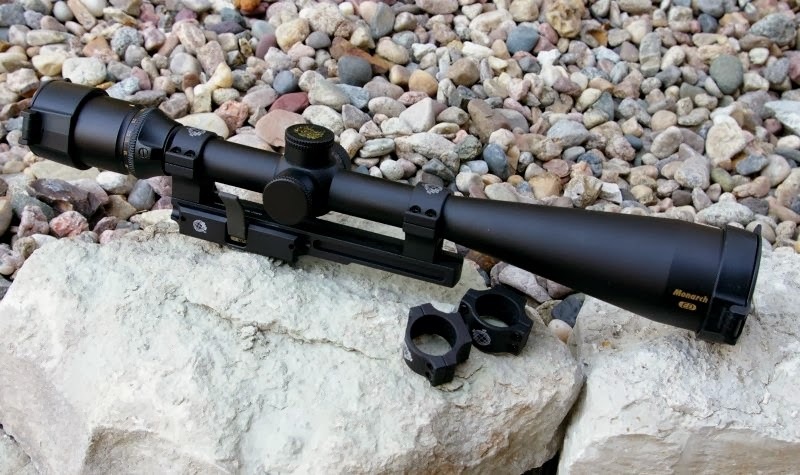 If I want precision accuracy to drop little furry critters, I can pop off the Eotech set and clip on the PRI Gator Grip quick Release scope mount with a Nikon Monarch 8-32X and this click the Eotech back on which will retain zero. After running a couple thousand rounds through this BPM AR15, I am left even more impressed with what they offer. Nearly identical accuracy to my previous version, but now in a format that is the most corrosion resistant production AR15 offered... and of course it looks cool as well. I have a Barnes Precision Machine Tactical Match rifle, and it is top notch. I have over 9500 rounds through it and it consistently shoots sub MOA groups at 300 yds. The nickel boron bolt carrier group is easy to clean and with the added Hiperfire 24C trigger it definitely out performs the shooter. Andrew and the crew at BPM not only provide great rifles and parts but have excellent customer service.